Earlier this month I finished an extraordinary week’s work at La Boisselle followed by four days guiding a group of writers around the Somme and Arras battlefields. Last year I had taken Vanessa Gebbie on a bespoke tour following in the footsteps of the 14th Battalion Welsh Regiment (Swansea Pals). She had been extolling the virtues of the battlefields ever since and had cajoled other writers to join her for a few days away. 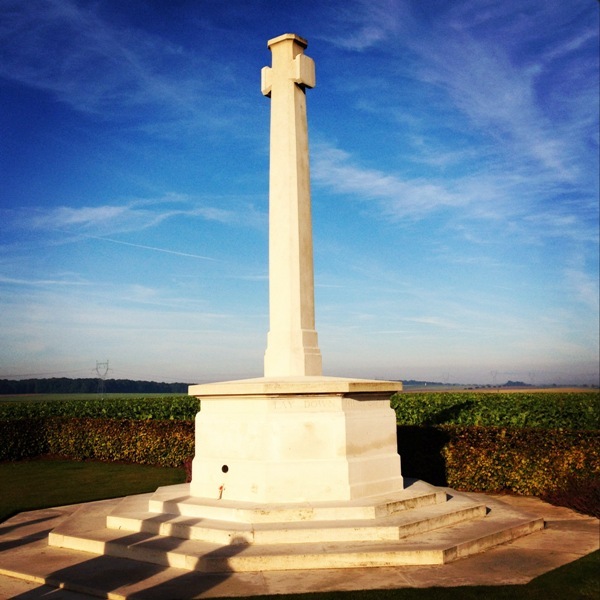 After picking up my passengers and hire car in Lille we headed south to the Somme. Our first port of call was to the Glory Hole at La Boisselle where I was able to take my group underground. BBC News were covering our work on site that day and it was exciting to stand at the top of W Shaft and hear the filming taking place below for that night’s Six O’Clock News. Vanessa has written about this on her blog here. After a visit to the Lochnagar Crater we stopped at Becourt Military Cemetery and Norfolk Cemetery en route to our comfortable accommodation at Chavasse Farm, Hardecourt-aux-Bois. The next day was spent on the Somme starting in the southern sector at the junction of British & French forces between Maricourt & Montauban. Stops that morning included Suzanne Communal Cemetery Extension to visit the graves of 18th Manchester Regiment men killed in May 1916 when German mortar fire blocked their mine shaft at Maricourt, the Carnoy crater field where I explained about the use of the Livens Large Gallery Flame Projector on 1 July 1916, Devonshire Cemetery at Mametz and then down to the impressive Red Dragon of the 38th (Welsh) Division Memorial at Mametz Wood. Despite heavy rain most of us had a walk up the slope from Death Valley to look at positions occupied by the 11th South Wales Borders and 16th Welsh in their unsuccessful 7 July attack on the Hammerhead. After a coffee and change of clothes we headed back out. Stops included Guillemont Road Cemetery, High Wood and the Nine Brave Men (82 Field Company RE) memorial in Bazentin-le-Petit before lunch at Old Blighty Tea Rooms, La Boisselle. The remains of the afternoon was spent at Aveluy Communal Cemetery Extension, Mash Valley and the Thiepval Memorial to the Missing of the Somme before stopping at Flatiron Copse Cemetery, Mametz on our way back. Over dinner that night I learnt one of my party had a relative with the 3rd Coldstream Guards who had been killed in the Battle of Flers-Courcelette on 15 September 1916. Our first stop the next morning was on the road between Ginchy and Lesboeufs to look at the starting positions for the attack. Guardsman Ernest Saye is commemorated on the Thiepval Memorial so there was a chance his remains were still lying in the fields before us. We paid our respects at the Guards Division Memorial, Lesboeufs before a stop specifically requested by Vanessa at Morval British Cemetery. This quiet spot contains 38th (Welsh) Division casualties killed in the capture of Morval on 31 August/1 September 1918. 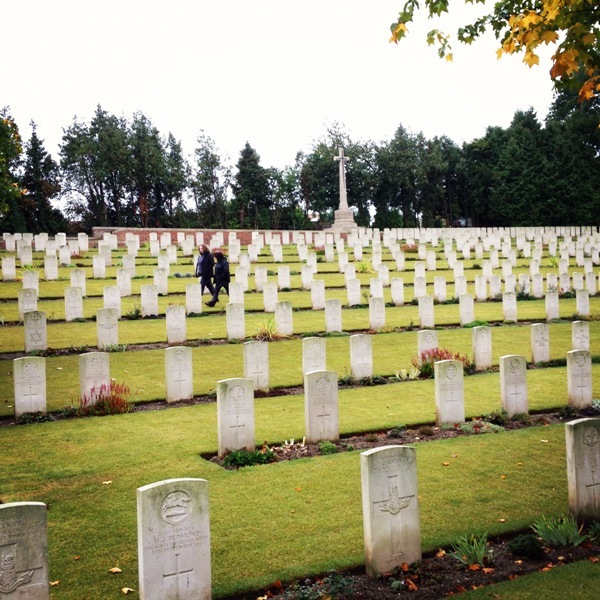 After stops at the Cedric Dickens Cross and Delville Wood Cemetery & Memorial we headed north of the Roman Road to Thiepval to pick up where we had left off the previous day. Stops included the Ulster Tower Newfoundland Memorial Park, the Sunken Lane at Beaumont Hamel and then over the Redan Ridge for a picnic lunch in the majesty of at Serre Road Cemetery No.2 where the Somme part of our tour ended. En route north we stopped at Ayette Indian & Chinese Cemetery before arriving at Neuville-Vitasse Road Cemetery, Neuville-Vitasse where I set the scene for the Arras offensive. The elevated position offers a fine viewpoint from which to show the southern sector of the battlefield with Monchy-le-Preux, Henin Hill and the route of the Hindenburg Line clear to see. 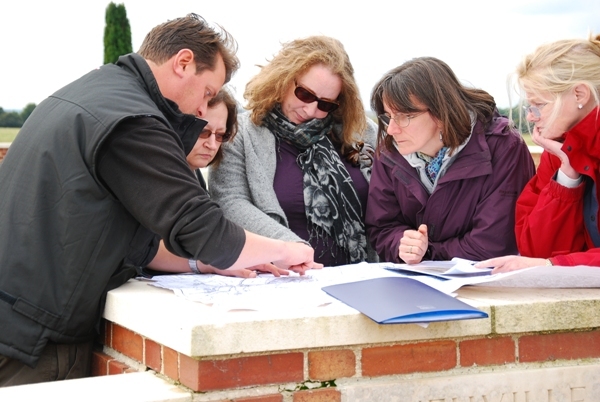 Poring over maps of the Arras battlefield at Neuville-Vitasse Road Cemetery. Thanks to Vanessa Gebbie for her permission to use this image. After a visit to Cojeul British Cemetery to pay our respects at the grave of two Victoria Cross winners, Private Horace Waller and Captain Arthur Henderson we headed up to the open windswept ground of Henin Hill where we had a good look around a surviving German ‘mebu’ concrete pillbox, part of the Hindenburg Line defences in the area. After repeatedly getting in and out of the car we were keen to stretch the legs and so took a walk to Heninel-Croisilles Road Cemetery where I read the poet Siegfried Sassoon’s account of being wounded nearby. We then walked down to Rookery Cemetery and Cuckoo Passage Cemetery. Our next stop was on Wancourt Ridge outside Wancourt British Cemetery where I read John Glubb’s detailed account of the bridging work undertaken by 7 Field Company RE across the River Cojeul in the valley before us on 23-25 April 1917. The landscape is wonderfully easy to match up to Glubb’s descriptions and offers the chance to imagine the scene 95 years ago. Afterwards some of us walked up to the site of Wancourt Tower. Our final stop of the day was the rarely visited but rather beautiful Vis-en-Artois Memorial. One of our party Caroline had a relative commemorated on the panels. Percy Honeybill, 1st King’s Own (Royal Lancaster Regiment) was killed on 2 September 1918 attacking the Drocourt- Quéant defences. Our final day saw us head to Arras for a croissant and coffee breakfast in the Petite Place before a visit to the Arras Memorial to the Missing and Faubourg-d’Amiens Cemetery. We then headed out along the Arras-Cambrai road to find the spot between Guémappe and Cherisy where Third Army Panorama No. 556 was taken on 6 May 1917. Standing close to the spot where the image was taken it offers an ideal opportunity to visualise battlefield conditions in May 1917. 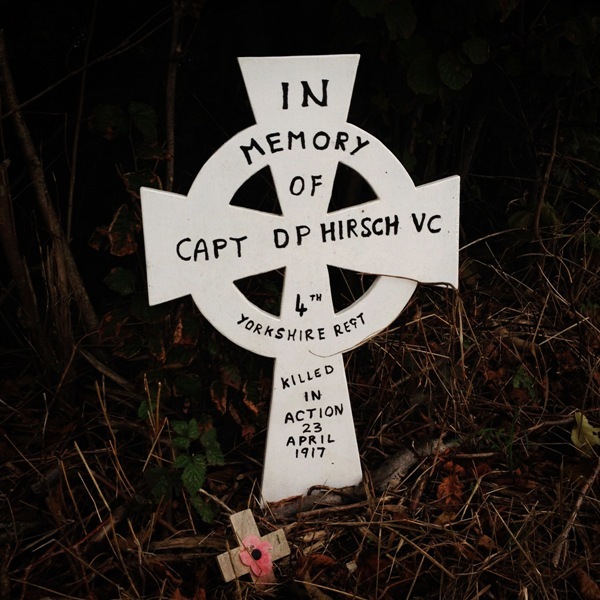 Our next stop was at Kestrel Copse to see the new cross for Captain David Hirsch VC. We then headed north to Monchy-le-Preux where I explained the magnificent action which resulted in the capture of the village on 11 April 1917. One of our party’s grandfather had served in the Essex Yeomanry. I was able to show her Orange Hill and the fields which her grandfather would have galloped across on 11 April 1917. We then headed up Infantry Hill where I told of the disastrous Newfoundland and Essex Regiment attack on 14 April and the subsequent action by the “Men who saved Monchy”. Crossing the River Scarpe to Roeux, we visited the site of dreaded Chemical Works, now a benign Carrefour supermarket and garage. I always find it a pity that there is nothing on the site to show the ferocity of the fighting here in April and May 1917. 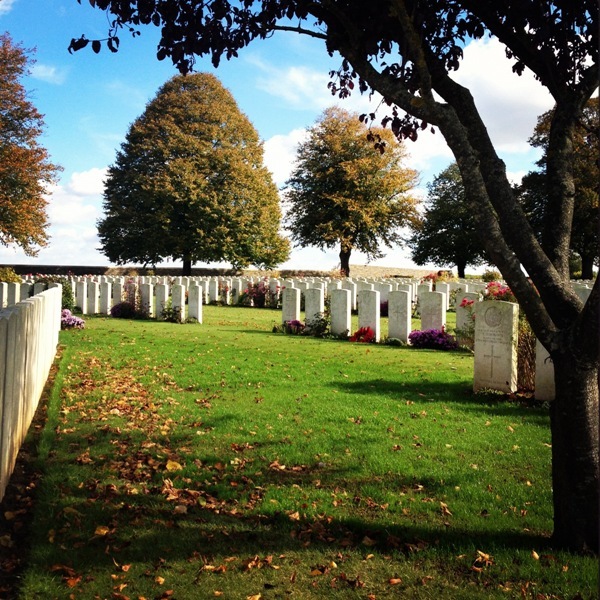 Lunch was taken in Sunken Lane Cemetery at Fampoux (written about here by Vanessa Gebbie ). We discussed the terrible fighting for Roeux and the 11 April attack by the 2nd Seaforth Highlanders and 1st Royal Irish Fusiliers. 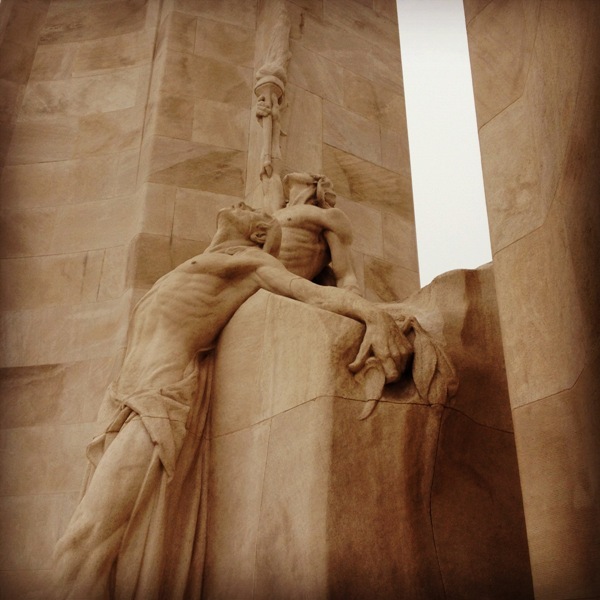 After visiting Gavrelle we headed north to Vimy Ridge, visiting the trenches and Walter Allward’s masterpiece, the Vimy Memorial where we bumped into my brother Mark guiding a group. What a small place the battlefields are sometimes! There followed an interesting journey back to Lille Europe station where the car was returned in a rather muddier state than it had been when picked up. My thanks to Vanessa, Tania, Zoe, Angela and Caroline for being such good company and making the trip such a delight. I am already planning the itinerary for 2013! 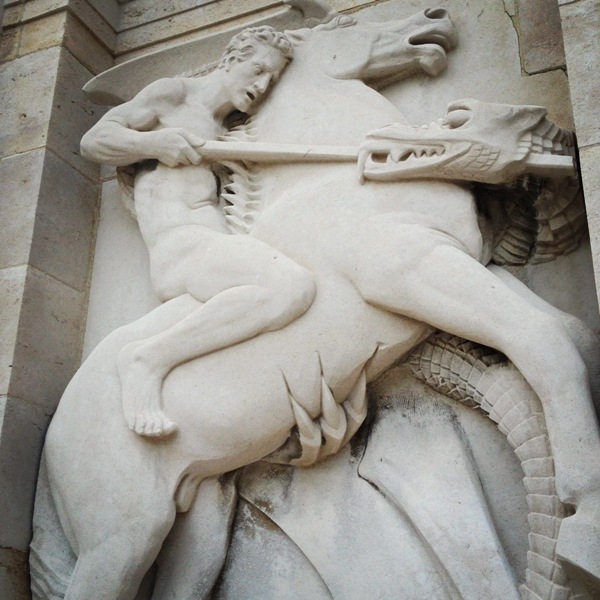 This entry was posted on Tuesday, October 23rd, 2012 at 10:48 am	and is filed under Battlefield Tours. You can follow any responses to this entry through the RSS 2.0 feed. You can leave a response, or trackback from your own site.